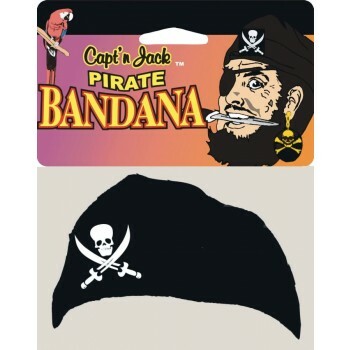 Black bandana with skull and crossbones front. 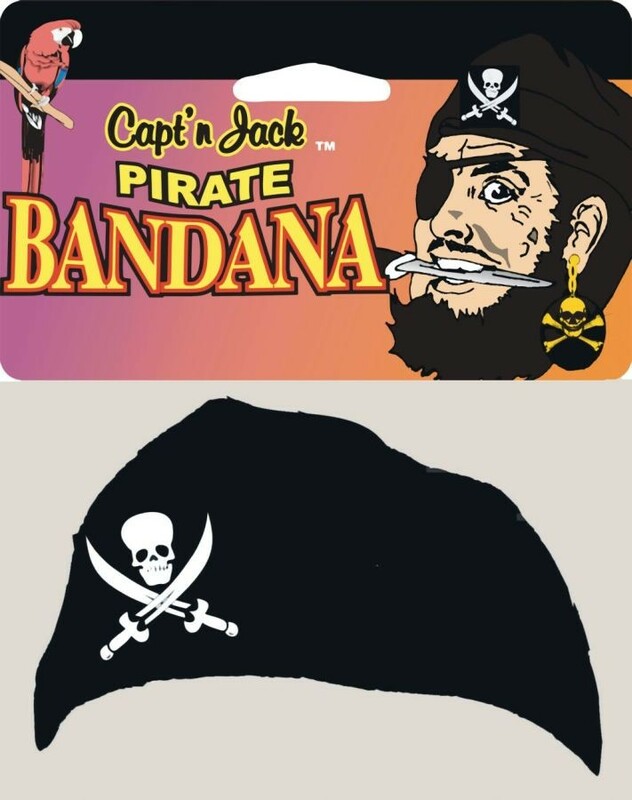 The perfect Pirate costume accessory! Elastic strap back allows easy comfort one size fit.